Today, the battle lines over immigration policy are sharply defined. In the last two years, Donald Trump’s rise has drawn attention to the Republican Party’s lurch toward the right. Opposition to current levels of immigration, illegal and otherwise, has taken on a tone that is stridently populist, even reactionary. 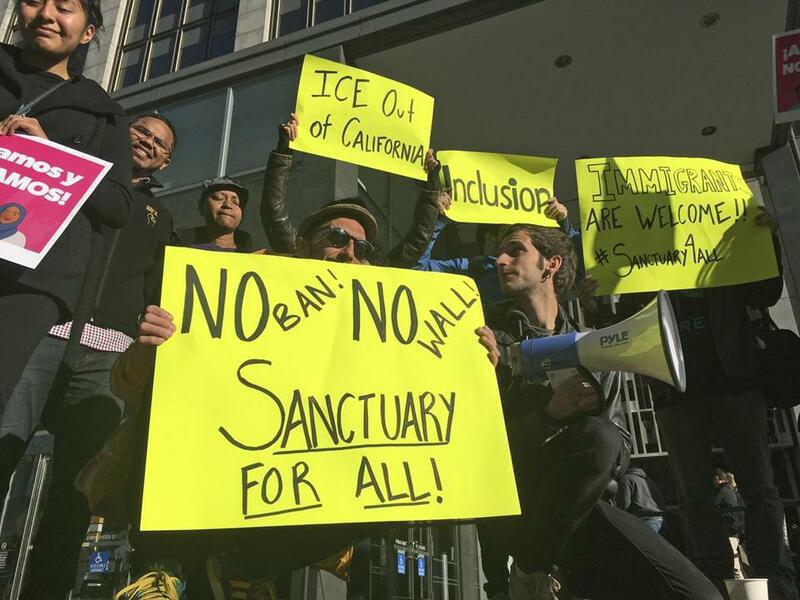 Meanwhile on the left, big-city mayors and blue-state legislatures are declaring sanctuaries for undocumented residents. Democrats have criticized not just Trump’s limitations on refugees, travelers from Muslim countries, and H-1B visas, but also his stepped-up enforcement of existing immigration laws. While liberals and progressives have stopped short of endorsing open borders, they’ve come to treat opposition to illegal immigration and constraints on illegal immigration as unacceptable, even racist. In academia and the media, Trumpism is receiving plenty of attention. Yet the Democrats’ new default position — that opposition to illegal immigration and constraints on legal immigration are virtually unacceptable — is just as extreme, certainly by historic standards. The shift in the liberal perspective has just received far less scrutiny. Not long ago, liberals and progressives felt far more conflicted about immigration. Within living memory, a powerful labor movement favored limits on immigration and fought against the reviled Bracero guest worker program, which began during World War II and was finally ended in 1964. At times, labor organizer Cesar Chavez supported the arrest and deportation of illegal farm workers. His union, whose members were predominantly of Mexican origin, viewed these interlopers from Mexico as strike-breakers and scabs. Today, progressive unions like the Service Employees International Union are prepared to support some form of guest worker program. In general, today’s labor unions have come to accept that sovereign states, including the United States, either cannot or will not control national borders, and that this new status quo must be embraced. Meanwhile, multiculturalism has become a more powerful force within the Democratic Party — and American society — than labor solidarity. Any liberal restraint on immigration tradition has disappeared. More than any other contemporary issue, the debate over immigration relies heavily on historical analogy. Progressives bolster their case by invoking America’s history as “a nation of immigrants” and pointing to America’s shameful neglect of Jewish refugees from Nazi Europe. Yet historical analogies can be misleading. Take the Statue of Liberty. Immigration advocates repeatedly invoke its evocative image to make their point. Yet instead of beckoning newcomers hither with her lamp “beside the Golden Door,” Lady Liberty was intended by her French donors — embattled antimonarchical republicans — as a tribute to what was then the world’s only successful republic. Far from inviting freedom-loving peoples around the world to the United States, Lady Liberty’s torch was intended to inspire them to stay put and establish republics of their own. Just as today’s opposition to high levels of immigration is presumed to be rooted in prejudice and racism, so too are these same motives attributed to post-World War I policies that curtailed immigration and imposed national-origin quotas. To be sure, some immigration restrictionists at that time did rely on racist arguments. Yet historians paint a much more nuanced picture of that era. Likewise, in a 2005 Oxford University Press book on global migration, economic historians Timothy J. Hatton and Jeffrey G. Williamson emphasize the importance of labor market fundamentals. A stream of illiterate migrants from Southern and Eastern Europe was facilitated by the advent of steamship travel, rendering the trans-Atlantic voyage safer, faster, and cheaper. The resulting “declining positive selection” also translated into increasing numbers of men arriving without families who did not intend to remain, but rather to save money and eventually return home. These “birds of passage” posed challenges involving neighborhood stability, community cohesion, social disorder, and crime. In the early 20th century, the possible effect of large-scale immigration upon the labor market was the subject of spirited debate, including among labor advocates. Today, at least in progressive circles, even raising the question is nearly verboten. A century ago, some progressives also raised legitimate concerns about the impact of mass immigration on national cohesion. The tensions between different national-origin groups in the United States noticeably deepened as World War I approached. Contrary to the reigning view that Germans were the object of unfounded prejudice and mistreatment while the Allies fought with the kaiser, historians have presented ample evidence that Germans in America openly displayed intemperate sympathy for the Fatherland. Foreign conflicts echoed in American streets. In cities like Chicago, Polish immigrants sided with formally neutral America and vehemently opposed their German neighbors’ vociferous support for their ancestral homeland. Meanwhile, Irish immigrants and their American-born relatives sided with Germany and opposed America’s implicit support for Britain and the Allies. Not surprisingly, once America entered the war against Germany, such voices in support of the kaiser greatly diminished. But they did not disappear completely, nor did the sentiments behind them — evidence that, upon their arrival on these shores, immigrant identities did not immediately dissolve into a melting pot of Americanism. In the opening decades of the last century there was a variety of reasons why Americans of an enlightened liberal bent might have supported limits on mass immigration. What’s striking about today’s debate, at least on the political left, is its unwillingness to entertain that possibility. At some point, a broad commitment to multiculturalism, and to sheltering beleaguered people from around the world, came into conflict with the labor movement’s past apprehensions about an influx of low-skilled labor, and the latter lost out. Unskilled immigrants have also become the steady, pliable providers of services for busy, upper-middle-class professionals — a group that increasingly dominates the Democratic ranks. In practice, such a transformative project was bound to have serious repercussions. In September 1919, a strike by the predominantly Irish police force in Boston helped propel the taciturn Yankee governor of Massachusetts, Calvin Coolidge, to Washington and eventually the White House. Nearly a century later, a populist running on a fiercely restrictionist platform won enough votes in Democratic Rust Belt states to claim the presidency. Trump, no doubt, played to racial sentiments. But he also saw something his opponents didn’t: that even if Democrats refuse to acknowledge some of the complexities of immigration, many voters still see a need for limits. Peter Skerry teaches political science at Boston College and is a senior fellow at the Kenan Institute for Ethics at Duke University.